I’ve always been very particular about the locales I use in my novels. Places, both familiar and exotic, inspire me and they are the spark that light the fire of my stories. As I create my characters, I surround them with their world. They see, feel, taste and smell their surroundings. Because of this integration of my characters with their world, I use in my novels places I have seen and known well. The places I visited and affected me inspired the stories of the novels. Often, I start the story with a description of the place, like Rome and a winter forest in Romania in The Wolves of Pavlava, or a street in Buenos Aires and rainwater flowing down the sidewalk in San Francisco’s Chinatown in The Death of Rafael. Because of the way I spin a story, I always make sure that I understand and have a ‘feel’ for the places the protagonists inhabit. I’ve been fortunate to have ‘boots on the ground’ in all the locales in my new novel The Death of Rafael, either having lived there or visited for an extended length of time. Except for one—Berlin. However, I have read and researched, and looked at many photos of the city, and believed that I had sufficient information. Being so familiar with the history of the period in my novel, I felt I understood the place. 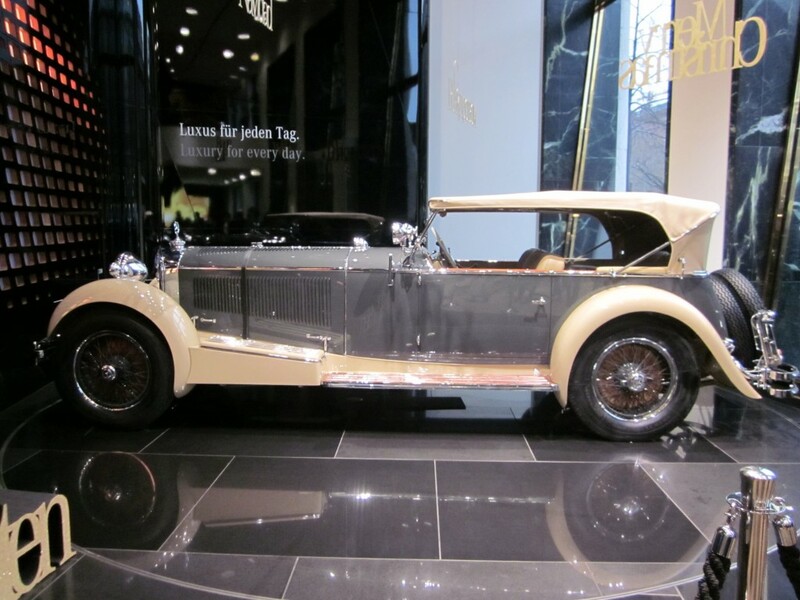 But, that instinct of the writer kept niggling at me that, while generally correct, there was something artificial and shallow, almost contrived, in the way my protagonists were moving through Berlin. 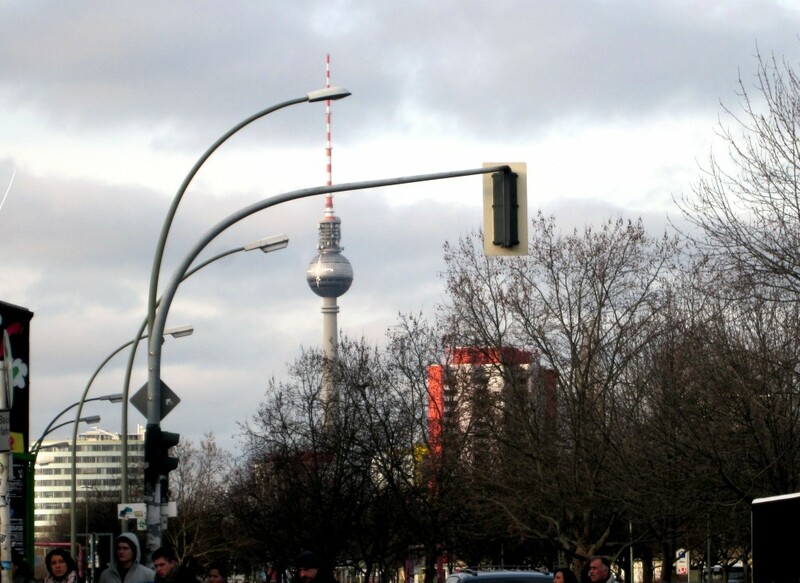 Somehow, that lack of direct contact with the city and ‘feel’ for Berlin were flattening the action. However, the little voice in my head was silent or ignored when in July I wrapped up the final edit and I was seeing the ‘light at the end of the tunnel’ with the novel. As it is often the case when something meant to happen flies in your face, I was casting about a place to spend Christmas and shooting the breeze about it with my friend Lois Jeffrey, when she said to me, more as a barely audible aside, “Not a Christmas place, but Berlin is the place to go.” A light bulb lit in my head, and what had been silently gnawing at my writer’s subconscious, and conscience, now screamed: “You need to go to Berlin! 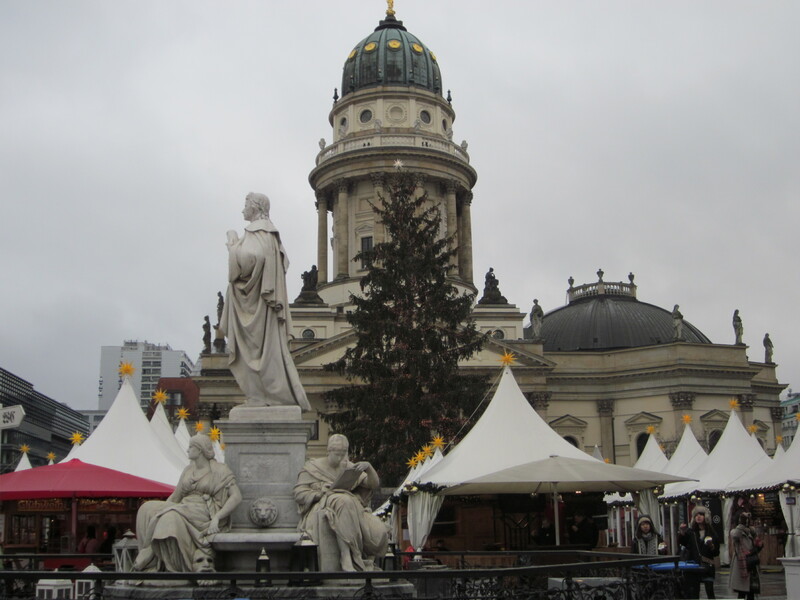 You have no idea what you’re writing in your Berlin scenes!” Besides, I always wanted to see Berlin, one of those ‘I should do or must do” on some unwritten bucket list. 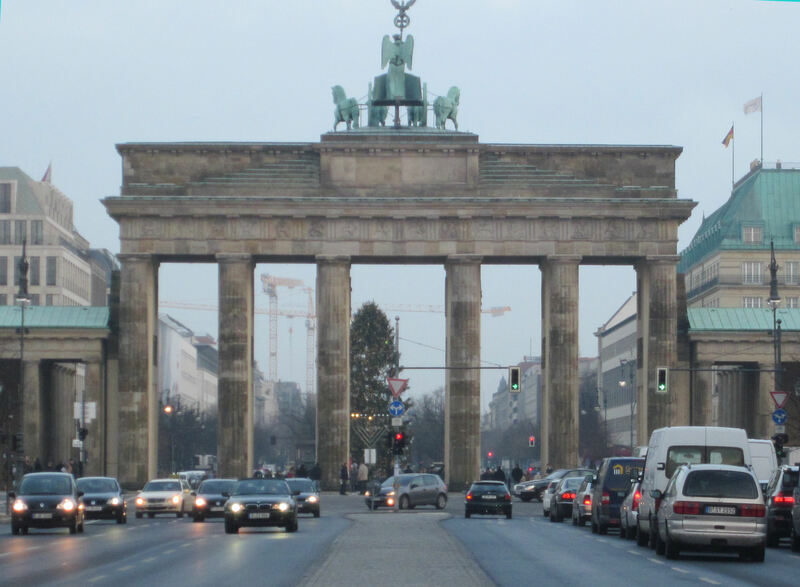 The photo below shows the Adlon behind the Branderburg gate, on the right (with the green roof). In the period of my novel, it would have sported great banners down its facade. The next place I visited on the third day in Berlin—that demonstrated eloquently and forcefully the importance of knowing your locale and scene with all your senses, with physical presence—was the Bendlerstrasse building of the Army Reserve during World War II, where the conspirators in the July 1944 plot to kill Hitler had gathered and where some of them were executed on the night of July 21, 1944 after the coup failed. The photos I saw and the accounts I read, one item in particular, resulted in one scene that was completely wrong. 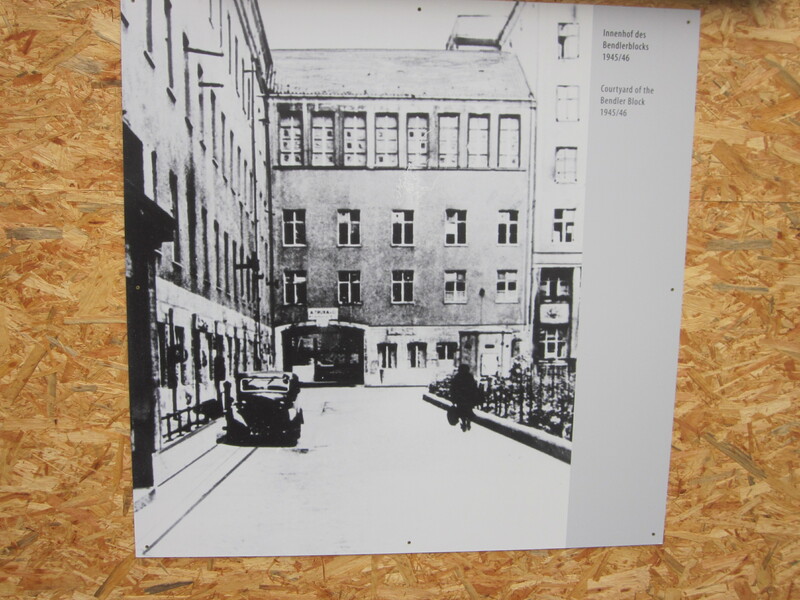 I found Bendlerstrasse quickly, now called Stauffenbergstrasse, named after Colonel Klaus Count von Stauffenberg, the man who actually put the explosives in Hitler’s conference room and who was executed the night of the failed attempt. 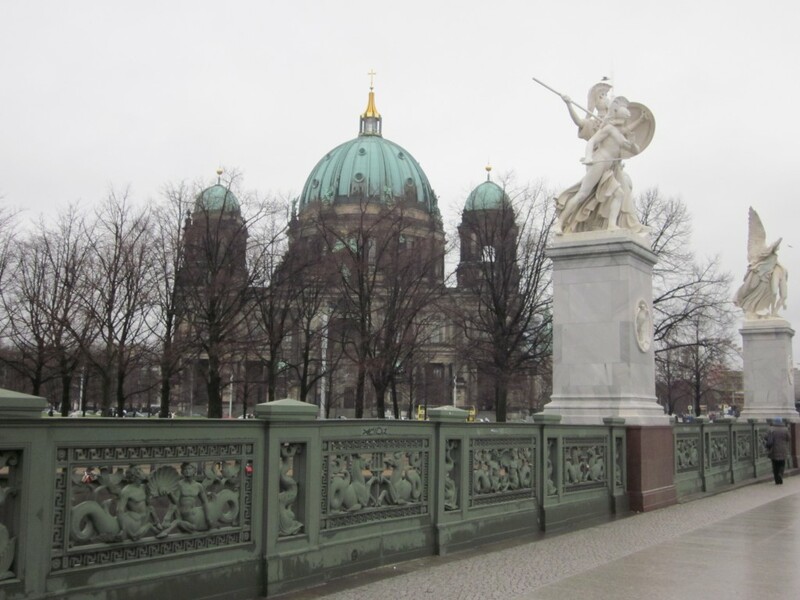 The street cut through to the Landwehr Canal, the usual kind of Berlin street—wide, straight (saw the magnificent façade of the Egyptian embassy of red, polished stone, the ancient Egyption motif of lotus flowers etched in a band along it). Gaping and gawking and taking photos, I suddenly stopped in my tracks. 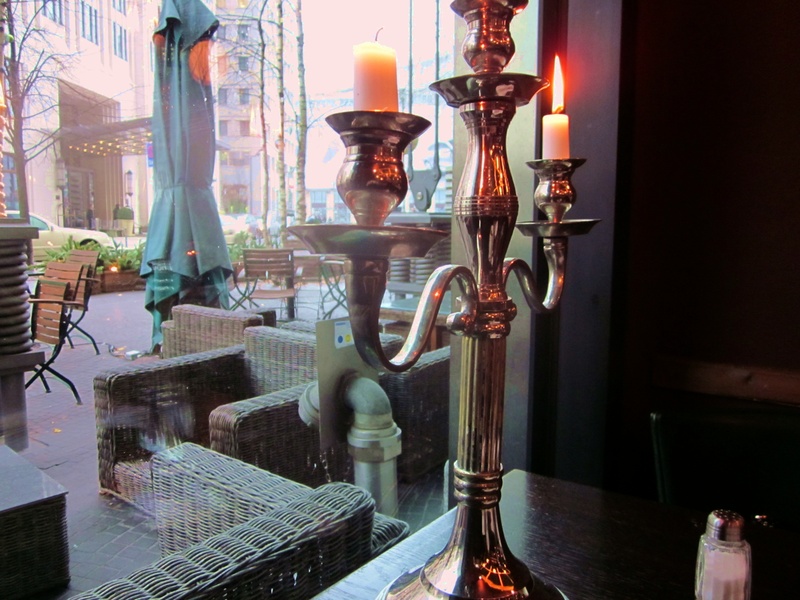 In front of me stood the Bendlerstrasse building, the only old building on that street, like a ghost that materialized out of the pages of my novel. Somehow it had not been destroyed in the bombings and it was untouched, the original building still standing. I walked into the courtyard, and a chill went down my spine. I stood there, motionless for a while, and felt the spirit of those men who had died in that courtyard, surround me. 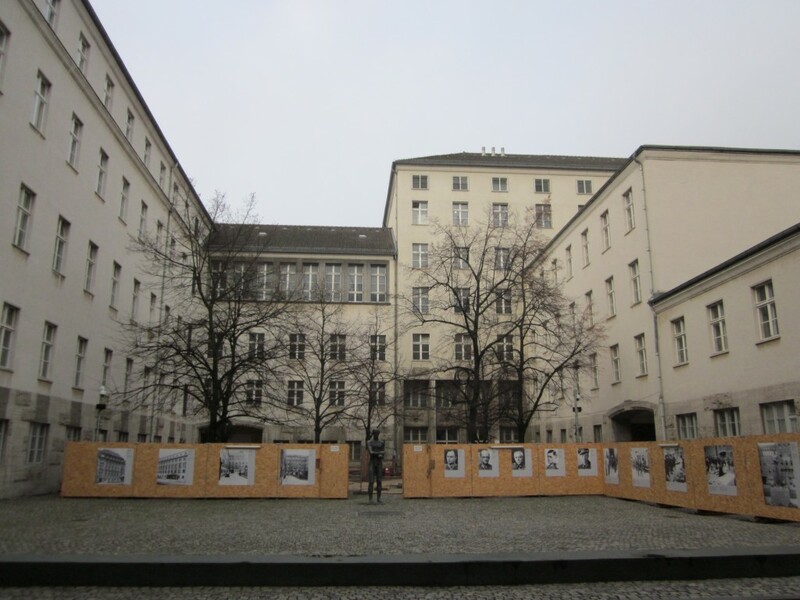 The cobblestones of that interior courtyard, the windows surrounding it, looking down on me as if the men of 1944 were still behind them, and then the portraits and images lined up on the wall. These are the photos taken by me, compared to the old ones of 1944. There are small differences, but important—there are no trees in 1944. Yes, I had to change that in my novel. 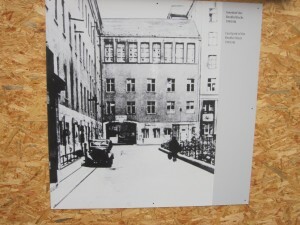 Next came another discovery—some of the accounts I read of 1944 had given me the impression that the building was along the Landwehr Canal and that it could be seen from the window. NO! WRONG! The canal is at the end of the block, yes, but it cannot be seen from the windows. 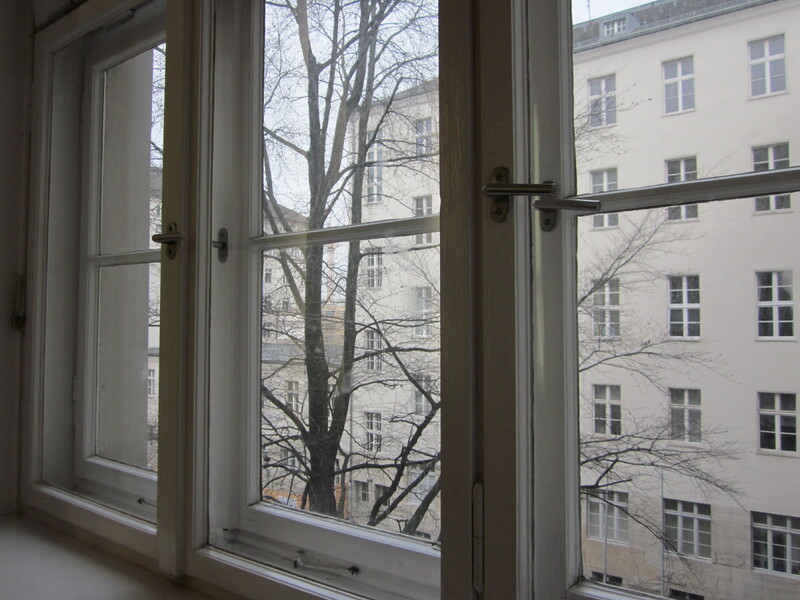 Now, my protagonist, von Klaussen, is looking down into the courtyard, not out to the street along the canal. He now sees von Stauffenberg in the courtyard. A much better point of view, as I verified standing at one of the windows inside the building on the second floor. Without going into too many details, next I visited what used to be East Berlin. This time I was guided by someone who knew East Berlin well, Prof. Dr. Frank Decker, professor of political science at the Bonn University. (Incidentally, we had great discussions about the US political system vs. the European system and the… Tea Party. But this is a subject for another day.) 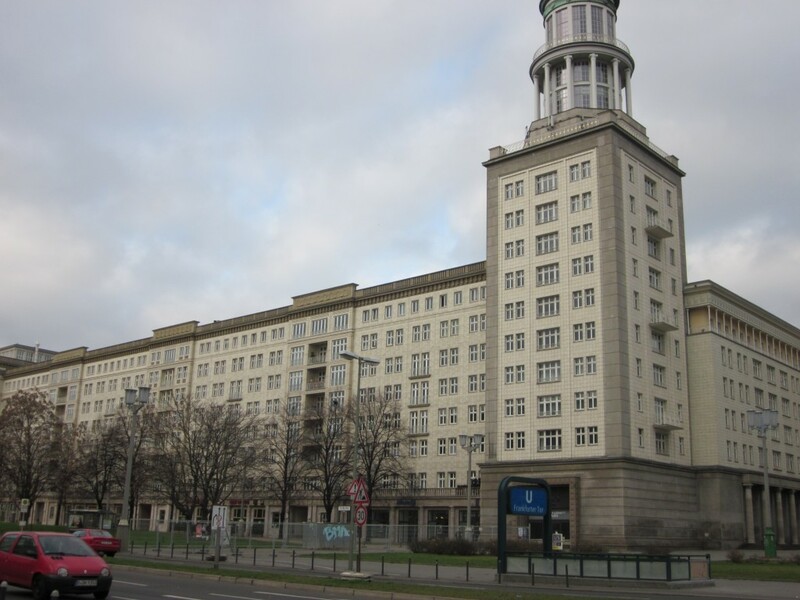 The tour of what was East Berlin, turned one important scene that I have in the novel on its head. This is the street (boulevard) I chose for this particular scene, perfect for the needs of my characters, one I could have never imagined had I not walked on it. 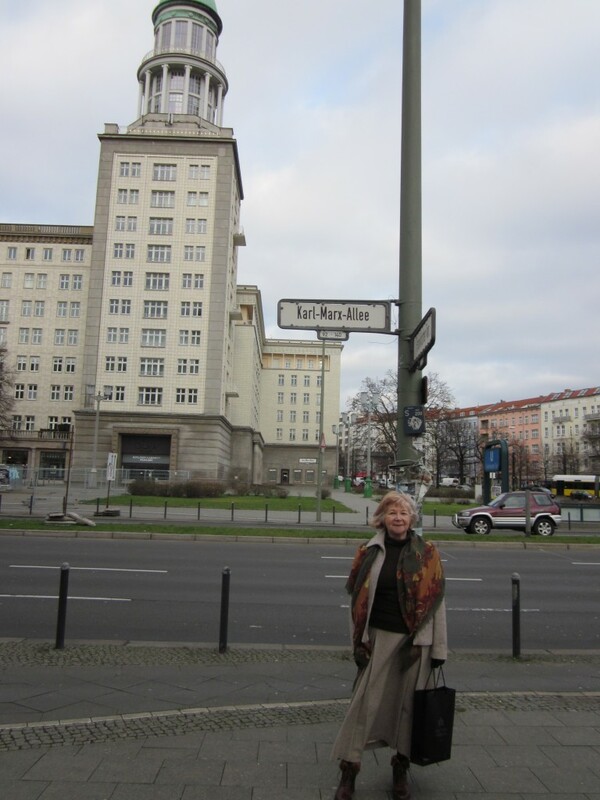 And yes, this is me, unrepentant capitalist under the street sign, still called Karl Marx Allee. Dante, Canto III, Inferno, The Entrance. 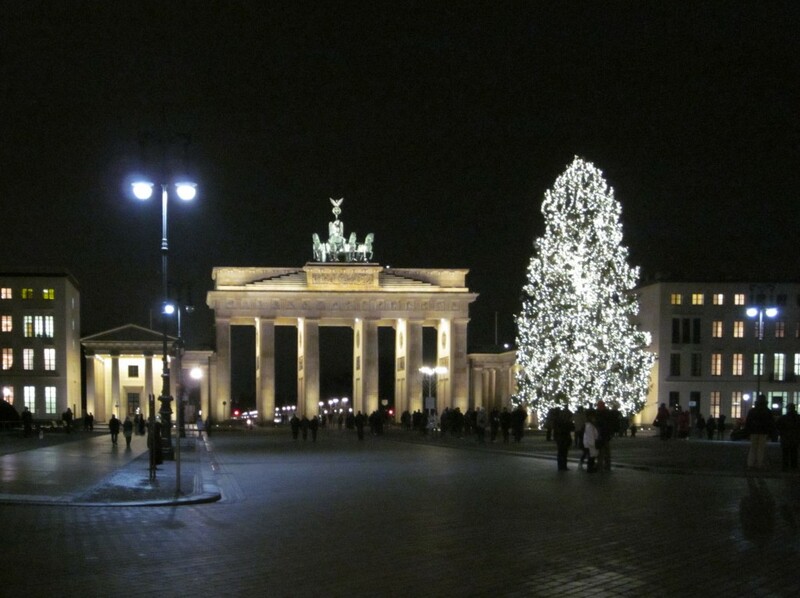 But Berlin is, in its youth, returning to its former spirit and cultural verve. It’s everywhere. The city also gives hope by its rise from ashes. Literally from ashes. 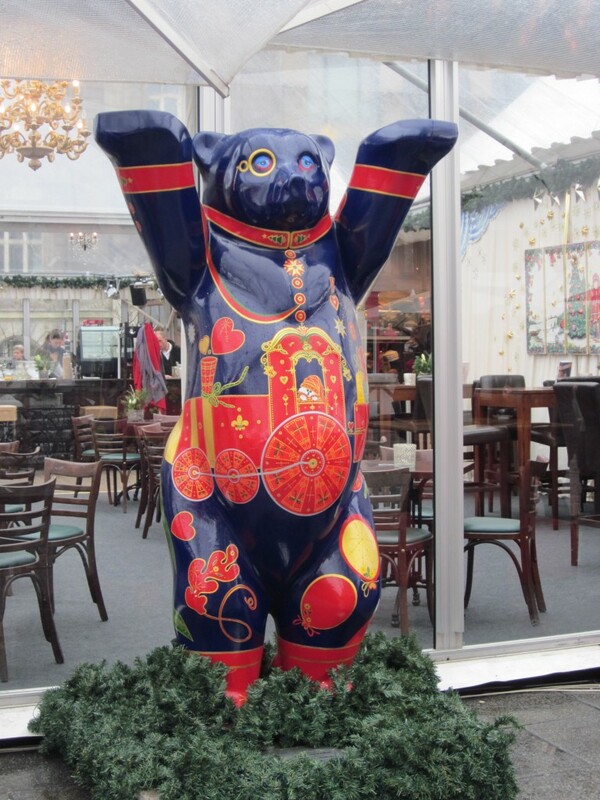 Berliners are friendly, open and intrepid. Let me leave you with a few images of today’s Berlin. 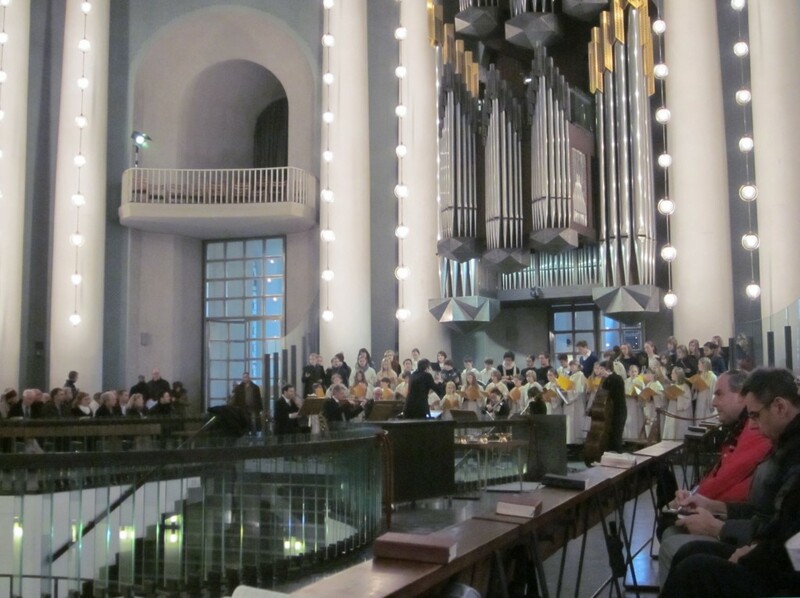 Midnight Mass at St. Hedwig. 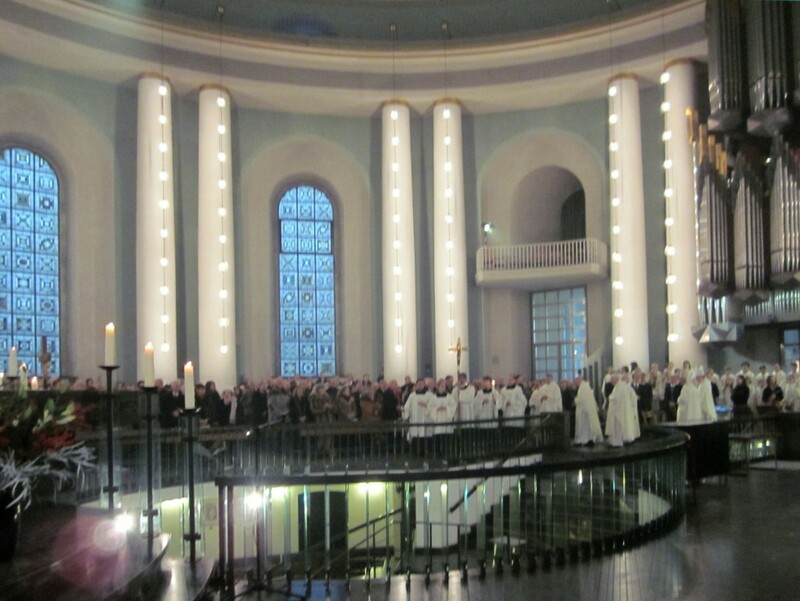 Procession. ...even sweeter. 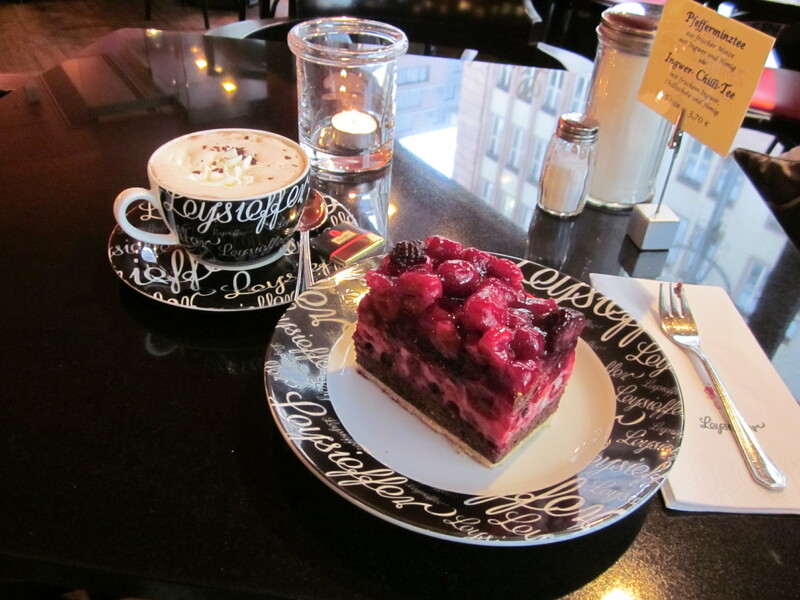 Hot chocolate with rum and pastry. One more story (this is IT, I promise). This entry was written by admiNWD, posted on January 6, 2012 at 10:24 pm, filed under The Death of Rafael, The Writing Life. Post a comment or leave a trackback: Trackback URL. I felt I was there beside you, taking in the City today. I enjoyed hearing how the trip changed your novel. One of the things I like about your writing is how you bring a scene and your characters to life. My favorite pictures, the Brandenburg Gate seen from your hotel, the chocolate, rum and pasty, and the Vatican’s revenge. Thanks so much for this! Fascinating account of your trip! Wonderful pictures! Thank you for sharing it with me. I cannot wait to read your novel!